During this lecture, Associate Professor Konstadina Griva will highlight and contrast the main challenges faced by Patients with Chronic Kidney Disease on different treatments and the pressures on Health Care Systems. 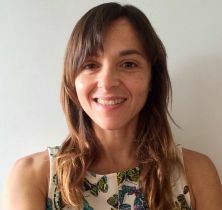 She will discuss her recent research on cognition, psychological distress, and health behaviour and demonstrate the effectiveness of interventions on clinical outcomes to show how to interpret patients' experience so as to map needs, develop support and improve on models of care. Konstadina Griva is an Associate Professor of Health Psychology at National University of Singapore. She is a Health Psychologist and a health services researcher whose research is on chronic disease management and measurement with special focus on kidney disease, dialysis and transplantation. The emphasis of her work is to answer questions that are relevant to patients and clinicians so as to facilitate patient engagement and improvements in care. She is leading several projects involving patients with long term conditions and has extensive collaborations and partnerships with health service delivery and community organizations (e.g. National Kidney Foundation Singapore).